Welcome to The Flying Pigeon where you can enjoy dishes inspired by Asia. Located in the beautiful Macedon Ranges, this little gem is the prefect eating experience for friends and family to come together and enjoy themselves. With a wide range of local boutique wines, creative Asian influence cocktails, craft beers and Fusion Asian cuisines that are made with dedication, time and love. We source only the freshest ingredients and work closely with local producers to bring you a unique dining experience. LUNCH: TUES – FRI 12 – 2:30PM. DINNER: WEDNESDAY - SATURDAY 5:30 – 8:30PM (BOOKINGS RECOMMENDED). Not your typical Aussie Asian restaurant. FUSION ASIAN CUISINE, HOMEMADE DUMPLINGS, SERVING ASAHI ON TAP, LOCAL WINES, CREATIVE COCKTAILS, ST. ALI COFFEE AND MORE. 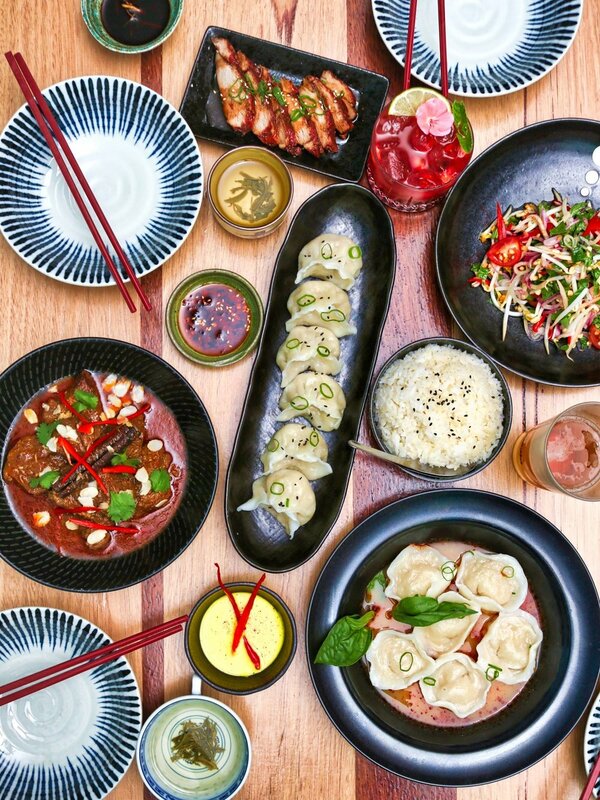 KITCHEN OPEN HOURS:SERVING HOMEMADE DUMPLINGS & ASIAN INSPIRED SHARED DISHES. Click on the button below to view the full menu of the Flying Pigeon. The Flying Pigeon is available for functions. Fill the form below and let us know how we can help.